Known as the "Sport of Kings," the game of polo in Greater Palm Springs offers a pair of premier, public spectating opportunities during the valley&apos;s high-season months. At Empire Polo Club and Eldorado Polo Club (both located in Indio), evening and daytime matches provide ample chances to introduce oneself to the game, and first-time visitors and desert guests need not be timid to attend. For those making a maiden trip to a polo match: A game consists of two teams with four, horse-mounted players per side; divided into either four or six, seven-and-a-half minute periods known as "chukkers," matches typically last about 90-minutes, with respective teams working to outscore the opposing side by driving the game ball thru the opponent&apos;s posts. For more finite observers: Plays are determined by the "Line of the Ball," an imaginary line created as the mallet-driven ball is driven down the field; as further detailed by the United States Polo Assn., a "Right of Way exists between any two or more players in the proximity of the ball and extends ahead of the players entitled to it and in the direction those players are riding." Less esoteric detail simply sees attending a local polo match as a fine time to get social in the sun. Attire is diverse, though many ladies enjoy the chance to bring out that fun dress or big hat which has been kept in the closet for the right occasion (however, it is recommended that high heels are avoided, as they tend to sink into the playing and peripheral turf). 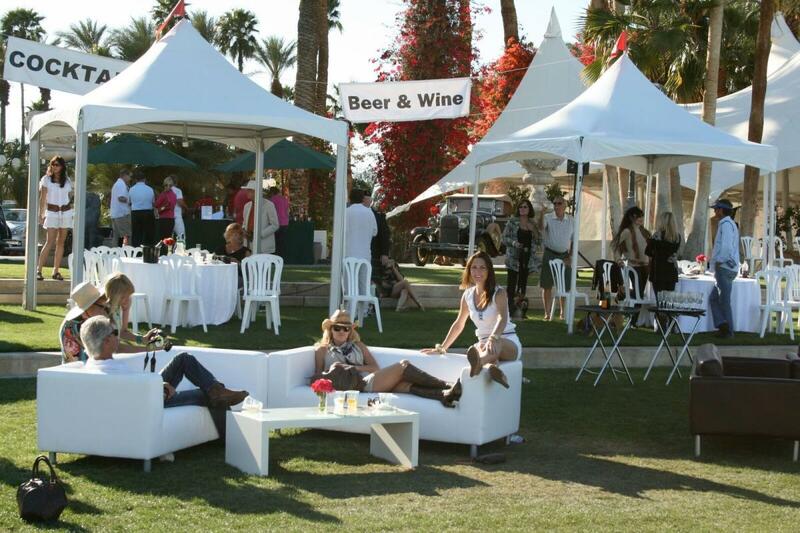 For more information on the polo scene in Greater Palm Springs, Empire Polo Club and Eldorado Polo Club both present a host of spectating opportunities. The Sunday polo season for 2019 debuts on Sunday, January 6 and plays thru Sunday, March 24, with matches starting at 12:00 p.m. and 2:00 p.m. It is strongly advised that guests arrive early. Parking costs $10, and viewing opportunities are available for general admission, fieldside tailgating and at the Clubhouse Restaurant (an additional cost of $10/seat; full-service menu and bar are available, and reservations are highly-recommended by phoning 760-831-7656). For tailgaters, guests are invited to bring their own food and beverage (along with leashed pets), and most spectators also arrive with lawn chairs and/or blankets from which to sit back and enjoy the action. Eldorado also offers its "Weekend Polo on the Patio" series, which begins on Saturday, January 5, and which sports games on Saturdays at 12:00 p.m. and Sundays at 10:00 a.m. Seating at the Cantina Patio is first-come, first-serve and it is advised that guests arrive early. The 2019 Sunday polo season begins on Sunday, December 30 and runs thru Sunday, March 31. Sunday matches are held at 12:00 p.m. and 2:00 p.m., and prospective guests need note that the club is closed on Sunday, January 20, 2019, and Sunday, March 3, 2019. General admission is free, and parking costs $20; guests (along with leashed-dogs) are invited to bring outside food, drink, chairs and blankets; dining and refreshments are also available for public purchase. Bleacher seating is available, and tailgate seating on the turf works on a first-come, first-serve basis, making it highly-advisable that guests arrive early. For those interested in V.I.P. table seating, the cost is $30 (which includes parking), and reservations are strongly suggested. Table seating offers food and beverage available for purchase, as guests are not allowed to bring outside refreshments. Based on glowing reviews in 2018, the venue will also bring back its "Brunch at Sunday Polo" gatherings for &apos;19 and will be offered once per month during the playing season. Empire also offers its "Friday Night Polo" series on select dates in February in March, with free parking and no charge for admission. No V.I.P. seating is offered for Friday Night games, and tailgate seating is offered on a first-come, first-serve basis. For those who trot in equestrian circles, Empire&apos;s handsome sprawl will soon include a pair of new venues: The Calhoun Ranch (including indoor polo arena) and the Empire Grand Oasis, featuring a 5,000-square-foot clubhouse and tropical swimming lagoon. Host site to both the annual Coachella Music and Arts Festival and Stagecoach Country Music Festival, Empire&apos;s impressive expanse accounts for one of Greater Palm Springs&apos; most celebrated sites for desert pleasures. 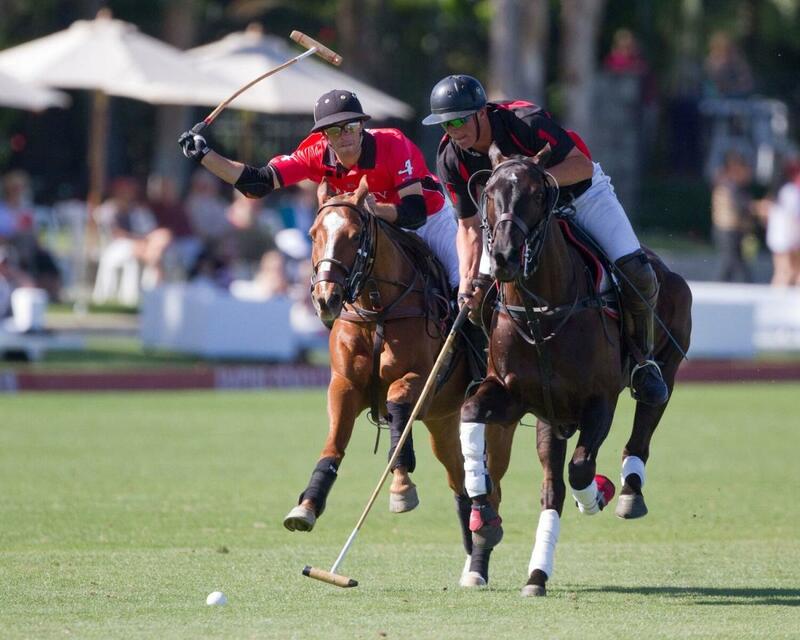 Along with its polo match schedule, the sprawl of property provides ranging opportunities for visitors, including three on-site restaurants, space for corporate gatherings and weddings, and field use for non-polo sporting events. Among its most unique activities, Empire offers the game of Golf Cart Polo, where real polo players drive a cart and the guest sits shotgun, working the mallet. For more information on Empire&apos;s 2019 polo schedule, driving/parking directions, event opportunities, dining and Golf Cart Polo, hoof it to Empire Polo Club and Eldorado Polo Club. If you would like to know more about what&apos;s happening in the oasis, visit our full events calendar in Greater Palm Springs.